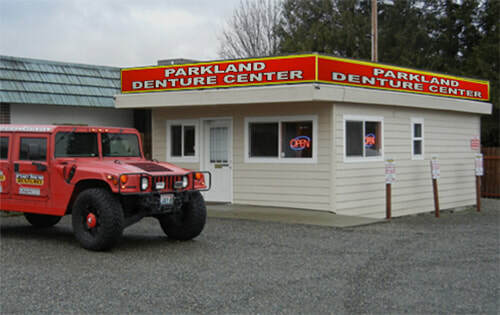 Parkland Denture Center is conveniently located on 125th Street and Pacific Avenue in Parkland. The Denture Center has been serving the dental community for 22 years. Our facility has a full-service denture and partial lab on site. We accept walk-in repairs. We have two patient operatories and are wheelchair accessible with handicap parking available.